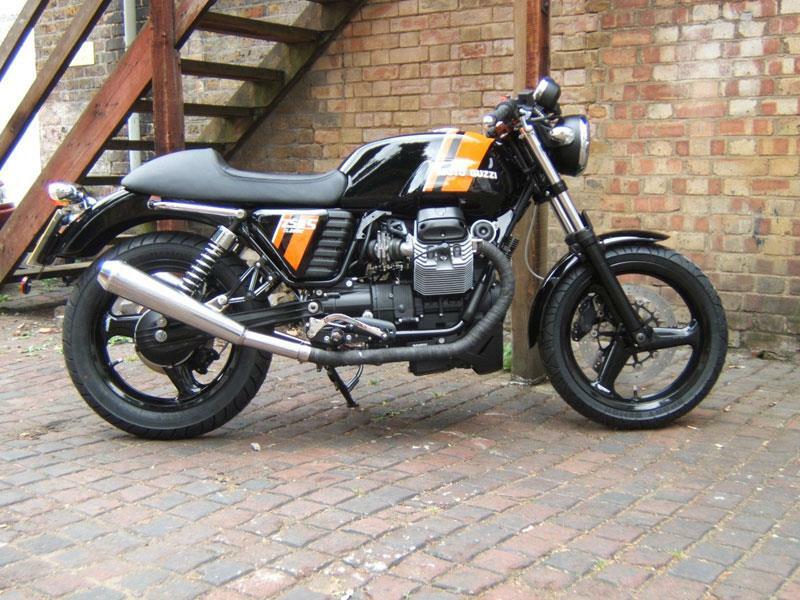 The Moto Guzzi V7 is already pretty cool in standard form but London dealer Corsa Italiana has put some work into the bike with these two gorgeous specials. The black bike has a fair bit more work done to the V7 Café Classic which is what the bike started out as. It costs £8999 and gets an all-black paintscheme, three-spoke alloy wheels with 17 inch front wheel conversion from 18in, Mistral silencers with exhaust heat wrap, a black bellypan, black rocker covers and black fuel injection covers with Pirelli Demon tyres. More details in next week’s MCN on sale on March 23.